Can #AlDub Also Break These Social Media Records? 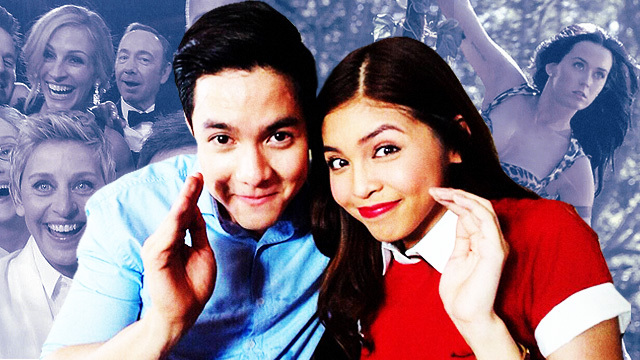 It's safe to say that we can now call Saturday as "#AlDub Twitter Record-Breaking Day." A week after setting the microblogging site's records on fire—12.1 million tweets using the hashtag #AlDubMostAwaitedDate—Eat Bulaga's colossal kalyeserye effortlessly shattered its personal record with an unbelievable 25.6 million tweets, with #AlDubEBforLove utterly dominating last Saturday's (nonexistent) noontime show showdown. A few months ago, Kendall Jenner dethroned sister Kim Kardashian in having the most-liked picture in Instagram, with 3.1 million clicks of approval as of this writing—and still counting! On August 3, 2013, Twitter experienced a huge spike in tweets per second—143,199 in a one-second peak to be exact. This happened during the rebroadcasting of Hayao Miyazaki's Castle In The Sky, which also tallied a whopping 25,088 tweets-per-second record in a televised broadcast in 2011. #AlDub already had its first date (#AldubMostAwaitedDate), followed by its first formal courting day (#AlDubEBforLove). What do you think will transpire when their first real kiss finally happens? Will we see international Twitter records being broken? LOOK: Are You Man Enough For This Hot Sauce?